Valve seals for AD3.152 Perkins Diesel. With engine serial number less than 2820092. Replaces 1447019M1, 33817125, 33817402, 3637041M1, 733820M1, 736840M1, 740009M1. Price shown is for each, sold only in multiples of 6 items. New, aftermarket Valve Seals for sale with a solid manufacturer warranty. In addition, we have a generous 30-day return policy if these Massey Ferguson Valve Seals for Massey Ferguson Perkins Engines, 3625, 3630, 3645, 365, 3650, 3655, 373, 375, 377, 383, 387, 390, 390T, 393, 396, 397, 398, 399, 50, 500, 50B, 50C, 50E, 550, 560UK, 565, 575, 590, 6000, 660UK, 675, 690, 698, 698T, 699, 750, 760, 850, TX550, TX750 tractors needs to be returned for any reason. Please see our Parts Warranty and Return Policy links on your left for complete details before returning. One of the main reasons for loss of tractor power and performance (with gas and oil wasted) is faulty valve action. Carbon, corrosion and wear and misalignment are inevitable products of normal engine operation. 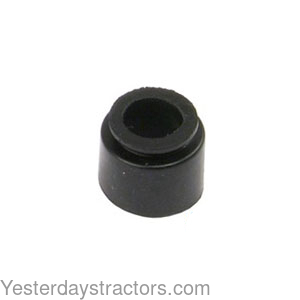 Our quality valve parts will help keep your Massey Ferguson tractor running like it should. Delivery is via UPS Ground or USPS Priority and usually takes 3-5 business days. The shipping charge will be displayed in your online shopping cart. To purchase these valve seals, click the "Add to Cart" button or call toll-free 800-853-2651.